. . . and the hot cocoa and toasted s'mores helped as well! 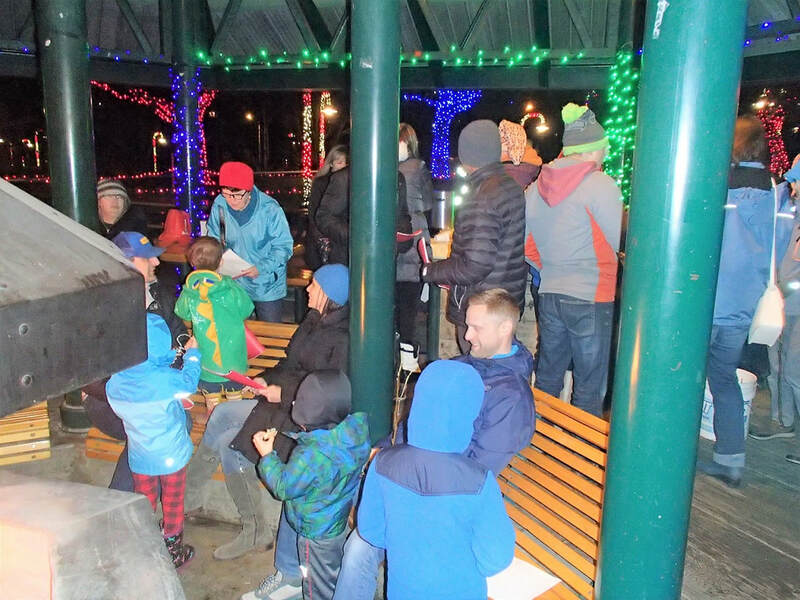 ​Our annual event was held on the evening of December 11th, at the Coulon Park north picnic shelter. Throughout the evening, over 50 people dropped by at one time or another, to enjoy the fire, hot beverages, and s’mores (most of which were prepared and eagerly consumed by the many kids in attendance)! For anyone who has driven by Coulon Park during December evenings without stopping, the lighted trees, landscaping and buildings are definitely worth the time it takes to walk around the decorated part of the park...and many of the folks who were at the bonfire took advantage of the mostly un-rainy weather to do just that! Special thanks to our KNA Board member, Janice Dougherty, for chairing this event every year, to her husband Jim for his fire-building expertise, and to one of our new Board members, Leah Battin, for assembling at least 100 “s’mores kits” so that the kids could get right to the important work of roasting and eating! Thanks also to our co-host for this event, the City of Renton Neighborhood Program, and to the City of Renton Parks Dept. for the marvelous lighting displays that get better and better each year! 2019 Bonfire will be on Tuesday, December 10th!